Uber may have taken control of the taxi market but in London could black cabs become the new buses? 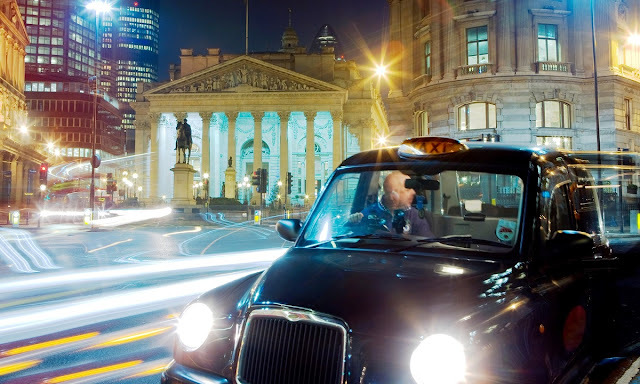 This idea is being explored by black-cab booking app Gett and urban travel planner Citymapper, in a collaboration to create a new fixed-route taxi service through London for a flat fare of £3, regardless of how long passengers travel along it. In essence, it is a tech brand reinvention of the many other forms of taxi share that already exist in cities around the world. Gett began trialling its “Gett Together” service in January with three fixed black cab lines in London and one in Manchester. In the capital, these are Ladbroke Grove to Aldwych, Belsize Park to Berkeley Square and Clapham Junction to London Bridge, and in Manchester from Didsbury West to Piccadilly station. The hop-on hop-off service will operate weekdays from 7am-10am and 5pm-8pm. Passengers can request a ride through the app at the nearest point to them and the average wait time is said to be less than five minutes. Citymapper’s collaboration with Gett follows its own forays into public transportation. In July, it was granted permission by TFL to begin running a commercial bus route, CM2 - Night Rider, which operates on weekends from 9pm-5am through nightlife hotspots in east London. In both cases, Citymapper used its data to establish gaps in the city’s transport network. The new BB1 route connects Highbury to Waterloo, while plugging “one of the largest gaps on the tube in zone one – from Angel to Farringdon”. According to Gett, its fixed-route services are currently used by “thousands” of Londoners, with many using it frequently for their daily commute, rather than on an ad hoc basis.